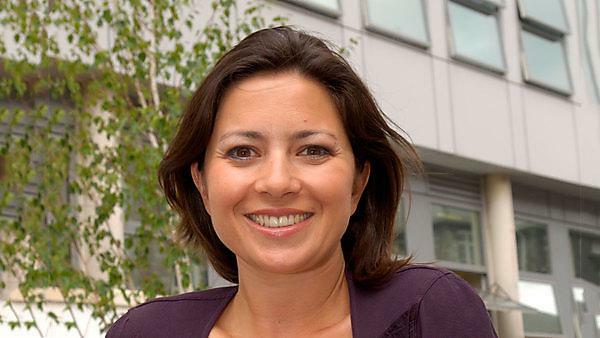 Clare Nasir, TV weather forecaster and University of Plymouth graduate, will be meeting and greeting aspiring postgraduate students at an open evening on 16 November. Clare presented the weather reports on ITV breakfast show GMTV for 10 years and has just taken up a new role presenting the weather for Channel 5, and will be at the University’s main campus to give a speech on her experience, her steps after graduating and what helped her to reach the height of her success. She came to the University of Plymouth in 1989 and achieved a masters in applied marine science – describing her time at the institution as ‘some of the best days of my life’. On top of her TV career, she has written several weather books – the fifth of which is due out in spring 2017. The postgraduate evening is the highlight of a week of events to help students decide if postgraduate study is right for them, and to find out the options available. “I’m really looking forward to coming back to Plymouth and meeting people who are considering postgraduate study at the University. The University and the wider city are both wonderful places to be, and it’ll be great to come back and talk to people who are in the same position as I was several years ago. The broad basis of my degree and masters has held me in good stead for my work – I do miss the academic life in Plymouth which I class as some of the best days of my life." In addition to the postgraduate open evening, there will be budgeting talks, career appointments, funding appointments and departmental and facilities tours taking place throughout the week. The broad basis of my degree and masters has held me in good stead for my work. Your opportunity to discuss postgraduate study, masters programmes and professional development with Plymouth University.